If that is what he wanted, well then, a brocha it would be. Wheels began to turn. Ezer Mizion’s Transportaiton Division brings the ill and disabled to clinic appointment and therapy or dialysis centers. A small number of slots are reserved for ‘Dreams’. With some it may be a visit to an equally disabled sister whom she has not met with in years, for others a visit to the kosel or an hour at a lovely, scenic spot. For Yisroel Dov and his parents it was a visit to Reb Dovid, an opportunity to offer heartfelt t’filos at Meron with the day topped off with dinner at a restaurant. And so the plans began. 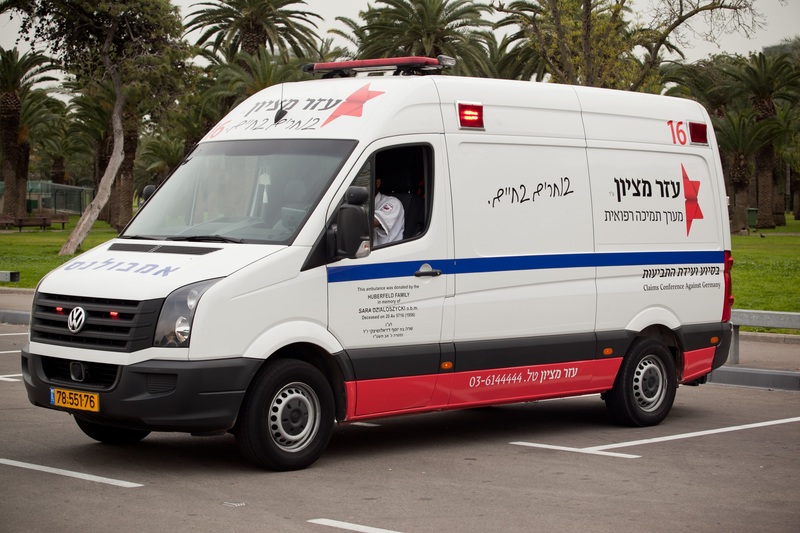 On Ezer Mizion’s side, a properly equipped vehicle was needed plus a driver and paramedic knowledgeable and experienced in this field. On Yisroel Dov’s side it was what he would say to the tzaddik (if he’s not too shy) and what he would order at the restaurant. The logistics were challenging but one look at his sweet face gave all those involved the impetus to continue on. Phone calls. Emails. Frustrations. Re-assessments. And then success! Yisroel Dov would have his wish. It was a dream day for both Yisroel Dov and his parents. They were overjoyed. Each one of you, our friends and supporters, has a hand in bringing this uplifting happiness to a family that has undergone so much. The thank you note received belongs to each one of you. First of all, I want to thank Hashem for bringing us to this day, and to give a huge “thank you” to Ezer Mizion for arranging and funding it all and to the Ezer Mizion Haifa branch and its special director Moshe Beeri, the special person who organized everything. Thanks so much! You are an amazing person!!! 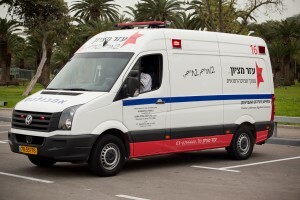 Thank you to the Ezer Mizion ambulance driver who took responsibility for us for the entire trip and to the paramedic who kept a close eye on Yisrael Dov during the whole journey – a tremendous effort!!! A great big thank you to the tzaddik Rabbi David Abuhatzeira for his outpouring of berachot and for his warm words and prayers. And, most of all, thank You to our dear Abba in shomayim (heaven), for enabling us to get to the gravesite of the great tzaddik Rabbi Shimon Bar Yochai in Meron and speaking to You from that holy place. And again, thank you so much, Abba in Heaven for all that You do to ease our plight, especially sending us your messengers from Ezer Mizion. Our love for You has no end.